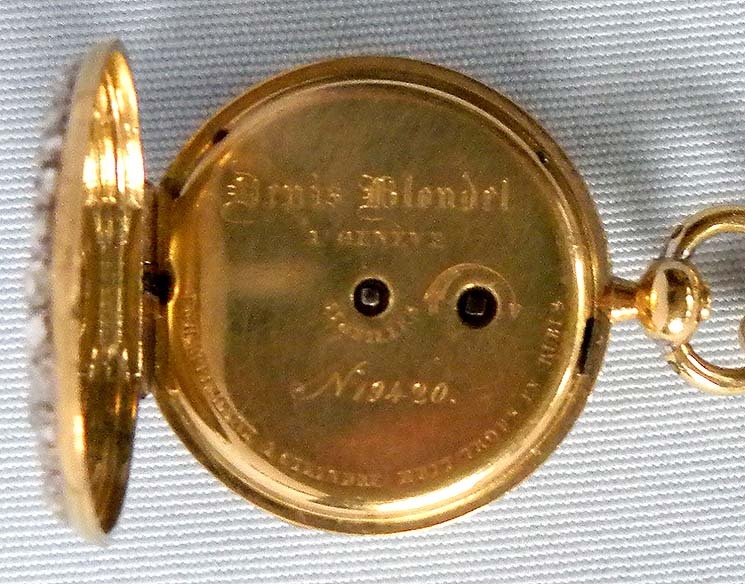 Fine and lovely tiny Swiss ladies 18K gold and pavé diamond ladies antique pendant watch by Denis Blondel, Geneva, circa 1850. 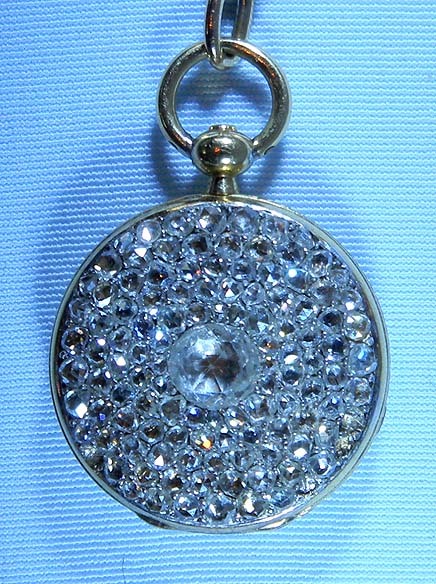 The case back completely covered with diamonds. 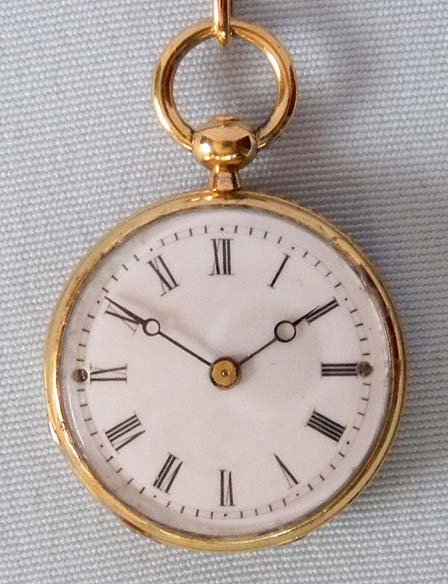 White enamel dial with black markings and blued steel Breguet hands. 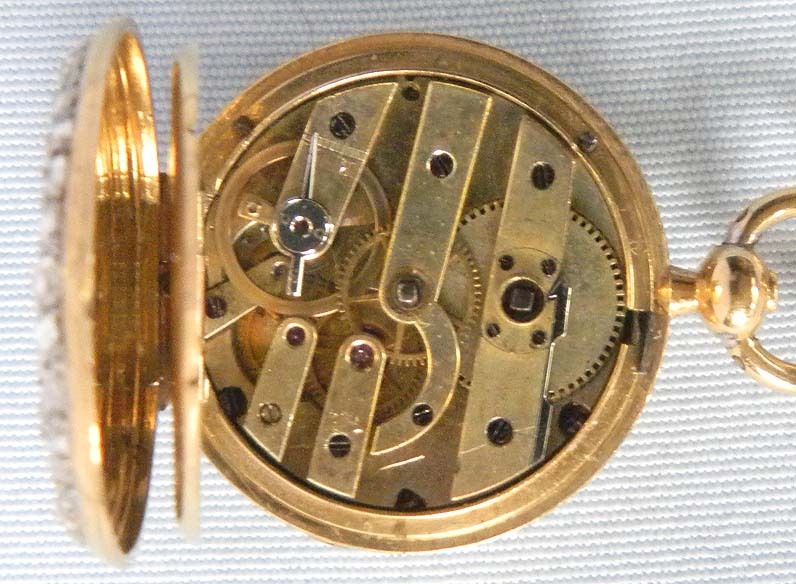 Gilt 10 jewel keywind cylinder movement. 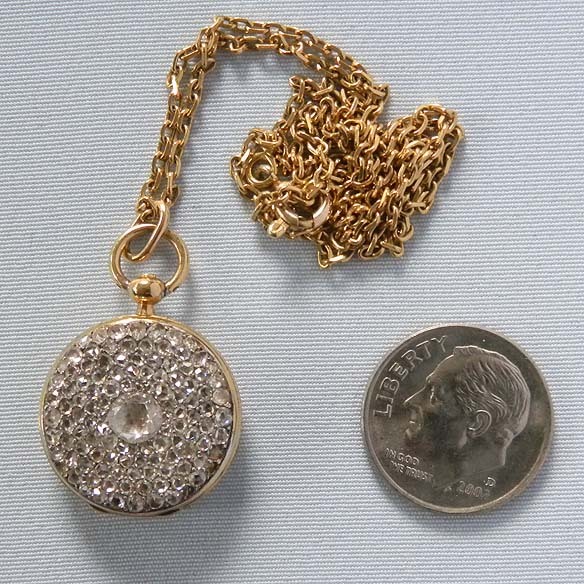 With a modern16 inch long 18K gold chain.